With our specialty architectural shape windows, you can add architectural style to your home and have a singular look. With our architectural shape windows, you can add architectural style to your home and have a singular look. 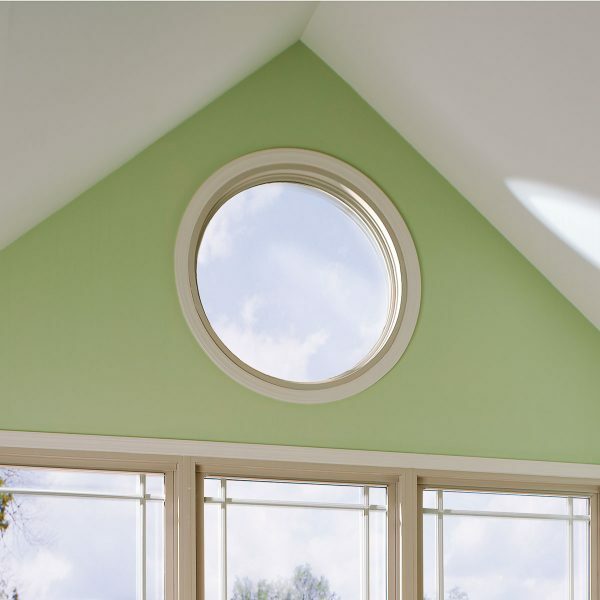 Highlight your home’s design with our uniquely shaped geometric windows, including octagon, trapezoid, elliptical, colonial arch, full circle and more. All of our windows are crafted with exceptional workmanship and designed to last. Atrium windows and doors are engineered with state-of-the-art glass technology to give you outstanding thermal efficiency. With a full range of glass options and special insulated spacers, we have a glass package to fit any climate need or budget. Verify product specifics before ordering. Triple Pane R-5 Compliant Glass options are only offer on Series 8900 windows. Low-e Glass & Argon Gas is standard on Series 8900 and 8700 windows. Triple-pane, R-5 compliant glass with Super Spacer® sealant system provides industry-leading thermal resistance, noise reduction and protection from the sun. The Series 8900 oers this option with both Low-E glass with argon gas or Ultra Low-E glass with argon gas, for the ultimate in insulation. Device/Monitor screen settings may affect color shown. Please refer to actual window sample when selecting colors. Exterior laminates available on white window only. Only use mild, water based household cleaner on painted product and rinse immediately with water. See full cleaning instructions for details. Interior laminate options are only available on Series 8900 windows. Exterior painted color options are only available on Series 8900 and 8300 windows. Bronze exterior laminate is only available on Series 8700 windows. Grids are not available for window ordered with exterior paint and laminate finishes.